We’ve all probably heard that statement at one time or another. If not, then the variant “At least it’s a dry heat” has probably been offered. You might be unaware of this, but humidity plays an important role in how temperature “feels.” Much like wind-chill, humidity can make the surrounding air feel warmer or colder than it currently is. Understanding why and how to use it effectively can also help you save a little throughout the year. First, a quick science lesson! Water is in a near constant state of evaporation and condensation based on the ambient temperatures around it. When the surrounding air is humid, that means it’s already saturated with water and is unable to contain any more. Saturated air leads to condensation as the water-laden air will begin to condense and leave water droplets on colder items. But it also means that water will not evaporate into the air since there is no space for it. “Temperature” is a measurement of heat energy in an object. For us, as humans, that measurement is relative. When you feel cold, a slightly warmer environment will feel “warm.” As heat moves from a warm object to a colder one, we sense “cold.” When water evaporates, it removes some of this heat energy to transform into vapor, this cools the surface. While this evaporation is nice in warmer weather, it’s chilling in the cold. 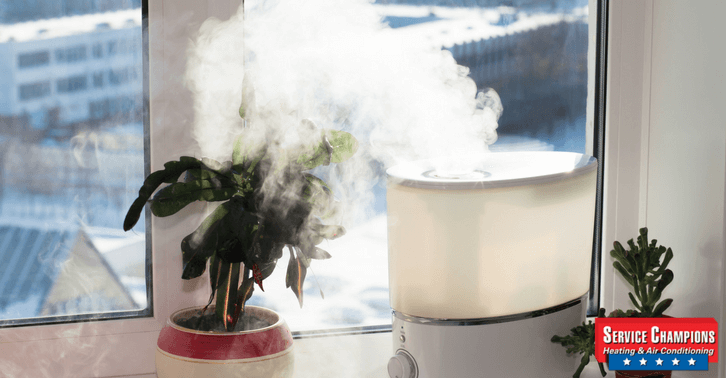 Depending on what the climate is like in your home, using a humidifier or dehumidifier is a great way to regulate temperature without spending extra fuel or electricity. During the winter, increasing the humidity up to 45% can make the room feel a few degrees warmer. Combining an increase in humidity with an extra layer will let you lower the thermostat enough to offset costs each month. All of these are symptoms related to the dry air found in homes that run a furnace or electric space heater for much of the winter. It’s an effective solution for homes with elderly members in them who prefer much warmer temperatures. Be careful when increasing humidity. Exceeding 45% runs the risk of leaving too much moisture in the air which can aid in mold growth. Otherwise, it’s a fantastic measure to cut costs during the winter months. 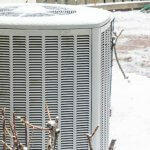 Do You Need an HVAC Maintenance Plan?